The first edition of Best Social Media Brands was an exciting affair. Over 25 categories and 130 entries – with talent pouring in from around the country, the Jury had an extremely tough time in picking the winners. Under Automobile (Two Wheelers), TVS Scooty earned a Gold while Mahindra KUV 100 won a Gold for Automobile (Four Wheelers). There are no Bronze and Silver under this category. Beauty (Cosmetics) saw Nyx Professional Makeup steal the show with a Gold, while BBlunt India boasts of a Gold under Beauty (Salon). There are no Bronze and Silver in this category. The next segment is B2B, wherein, Murugappa Group won a Gold under the Corporate Groups sub-category; Finolex Pipes scored a Gold in Infrastructure and HCL Technologies in Technology. There are no Bronze and Silver under this category. BFSI segment has three sub-categories – Bank, Financial Services and Insurnace. IndusInd Bank won a Gold, followed by Bank of Baroda and YES Bank who won a Silver and Bronze respectively. 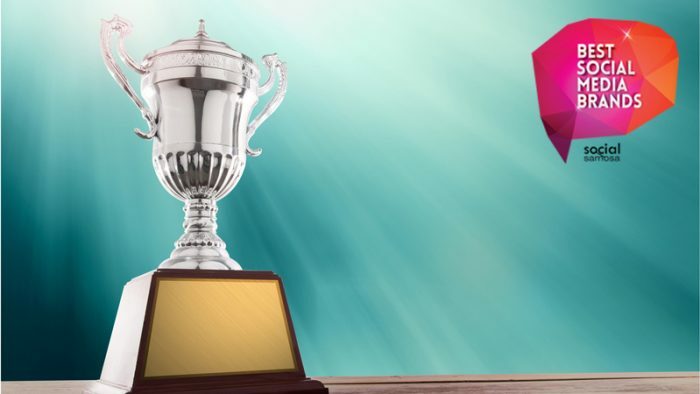 Under BFSI – Financial Services, Edelweiss Group and Tata Capital Ltd scored a Gold, BankBazaar.com achieved a Silver and CASHe a Bronze award. In BFSI – Insurance, HDFC ERGO won Gold and the Silver Award under this category is shared by ICICI Lombard General Insurance and Royal Sundaram. The next accolades were bestowed on the winners of Education category – Simplilearn won a Gold and TCS IT Wiz a Silver award. In the Fashion category, Wrangler stole the show with a Gold, followed by Jack & Jones in Silver. Raymond and Myntra Dressberry share the Bronze award in this category. FMCG was further divided into two sub-categories, Food & Beverages and Personal Care. The winners for Food & Beverages are Mother Dairy Milk, Kingfisher, and Chandon India under the Gold, Silver, and Bronze categories respectively. In FMCG – Personal Care, Good Knight, Godrej Aer, and Godrej Cinthol won the Gold, Silver, and Bronze awards. Further, Healthcare has two sub-categories, Hospitals and Product & Services. Under Hospital, Cordlife India won a Gold, HCG – HealthCare Global Enterprises Limited won a Silver and Cloudnine Care scored a Bronze. Product & Services was aced by Durex that won Gold; Practo won a Silver and Savlon won a Bronze. The next category is Home & Living, which is further divided into two sub-categories, Products & Services and Décor. Berger Paints India won a Gold in the Décor sub-category, while Asian Paints won a Silver. Under appliances, Godrej Appliances scored a Gold followed by Godrej Security Solutions in Silver. Under Hospitality, Club Mahindra won a Gold, Treebo won a Silver, followed by JW Marriot Mumbai Sahar that won a Bronze. One of our biggest and most populated category, Media, is divided into four sub-categories. The first sub-category, Niche-Publishers IFFCO Live won a Gold, Penguin Random House India achieved a Silver, followed by Hachette in Bronze. The next sub-category, Intellectual Properties saw three winners, Gujarat Lions – Gold, Mumbai Indians – Silver, and EsselWorld – Bronze. TV Channels, our next sub-category had Zee Yuva winning a Gold, followed by Star Gold winning a Silver and Star Plus a Bronze award. The final sub-category in Media, Entertainment saw three winners. Shemaroo Entertainment won a Gold, Tata Sky achieved a Silver, while Ditto TV was accoladed with Bronze. The Real Estate (Developers & Apps) category had Mahindra Lifespaces Developers Ltd winning the Gold award, The Wadhwa Group won a Silver, and Housing.com won a Bronze award. Restaurants & QSR category has no Bronze award. Barbeque Nation won a Gold and Krispy Kreme won a Silver. The Retail segment is divided into two sub-categories – Online and Offline. The online category has three winners – Flipkart, Amazon, and eBay in Gold, Silver, and Bronze respectively. Under offline, Mach City, Hyper City, and The Forum Vijaya Mall, Chennai won Gold, Silver, and Broze respectively. The Gold winner in Sports & Fitness is Nike, while Reebok won a Silver and Adidas won a Bronze. The Telecom category had one of the fiercest competitions! Battling all the odds, Jio won a Gold in the segment, followed by Vodafone in Silver and Airtel in Bronze. Technology was divided into two sub-categories, Utility Apps and Consumer Electronics. Under Utility Apps, Ola won a Gold, Zomato won a Silver, and Shaadi.com won a Bronze, while under Consumer Electronics Acer India achieved a Gold, followed by Amazon Kindle that won a Silver, and HP India and Kodak India share the Bronze Award. The final category for the year – Online Travel Agencies has three winners. MakeMyTrip won a Gold, GoIbibo won a Silver, and Cleartrip won a bronze. Give a loud applause to the winners of the first ever edition of Best Social Media Brands. These are the brands who have managed to create path-breaking work, re-establishing industry axioms according to the need of the consumers.